There are two time-honoured truths about wine: All of it is good — even at its worst — and, when it comes to appreciating wine, nobody knows what the hell they're talking about. The latter truth reveals itself time and again, especially in studies about wine consumption. On that point, a team of scientists at the University of Adelaide proved just how easily we can be fooled into thinking wine is better than it actually is. Some (for example, university students, people with very low standards, and so on) don't need capitalism's clever tricks to be fooled into drinking crappy wine. But for more discerning folks, a cleverly written wine label can actually go a long way, as this new study suggests. 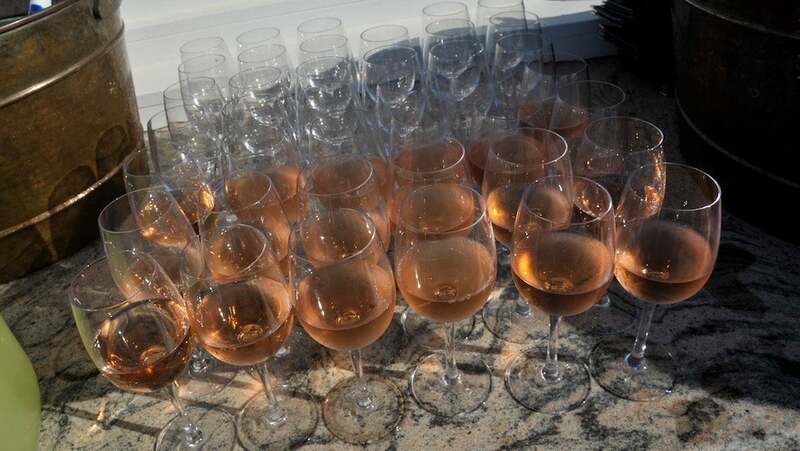 The researchers had 126 consumers test three different white wines (chardonnay, riesling, sauvignon blanc), each paired with three different levels of descriptions — blind, basic and elaborate. Consumers overwhelmingly favoured the wines when they had "elaborate" descriptions, and even said they'd be willing to pay more money for these wines. The results have been published in Food Research International. "The elaborate information level evoked higher expectations before tasting the wines, plus resulted in higher liking ratings, elicitation of more intense positive (e.g. contented, happy and warm-hearted) and less intense negative emotions (e.g. embarrassed and unfulfilled)," the researchers wrote. Even though the study only surveyed 126 people, it isn't inconceivable that clever marketing — such as flashy labels with cute animals on them — works. According to Christopher Gerling, manager of the Vinification & Brewing Laboratory in Geneva, New York, labels can convince even the most discriminating wine enthusiasts that what they're drinking is better than it actually is. "I have no doubt that they can, yes," he told Gizmodo. "We've done similar [research], and what we find is that just smelling and tasting is not the way that people make decisions about wine. When it comes to wine, people are seeking information from wherever they can get it, especially when you're in a wine store and desperate for information." Certain buzzwords can influence how much a person is willing to spend on wine, especially if that person isn't well-versed in wine production, which describes most average people and 100 per cent of university-aged consumers. "If you can throw in a story and the word 'small-production' or 'artisanal' or information about the wine's organic/biodynamic/sustainable practices, I find it usually enhances people's perception of the quality of the wine," Amy Ovecka, sommelier at Lelabar in New York City, told Gizmodo. "Stories definitely help if you're trying to explain to an incredulous person why X wine they think should cost Y instead costs so many more dollars than Y." While descriptions are great for getting people to buy things, they can be frustrating for people who've dedicated their lives to crafting wine. Peter Cranz, sommelier and beverage manager for Patina Group, told Gizmodo that a good label can prevent a person from learning more about the quality of the wine they're drinking. "It's good and it's bad because it keeps people from just learning the knowledge. If people just took a little time to read about wine, it's not too difficult to learn the basics of what's good and what's bad. For example, if a bottle says it's from Napa, that means the grapes actually come from Napa Valley, whereas if it just says something like 'California Red,' it's a mixture of grapes from all over the state. So is the quality of it going to be as good as something like a Napa Cabernet Sauvignon? No, it's going to be a different quality." Ultimately, good wine is about what you like. Unless you like Franzia. Then you're just wrong.